William Thomas Staniforth was born on March 28th, 1821 in Sheffield, England. 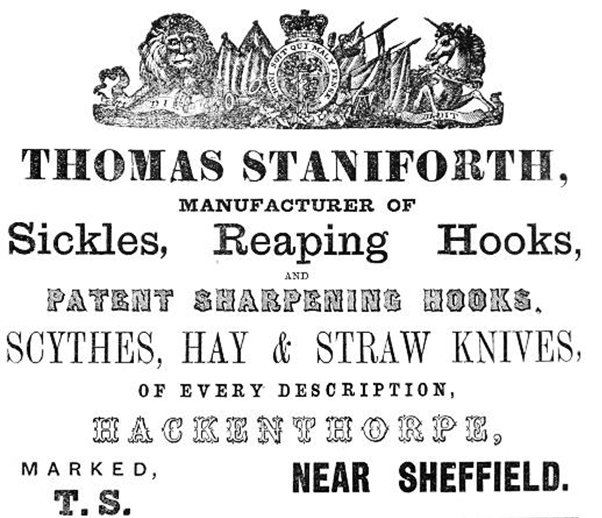 His father Joseph Staniforth was a Grinder. William was married to Sarah Jackson, and based on advertisement fliers from the time, he established his Cutlery firm in 1842. 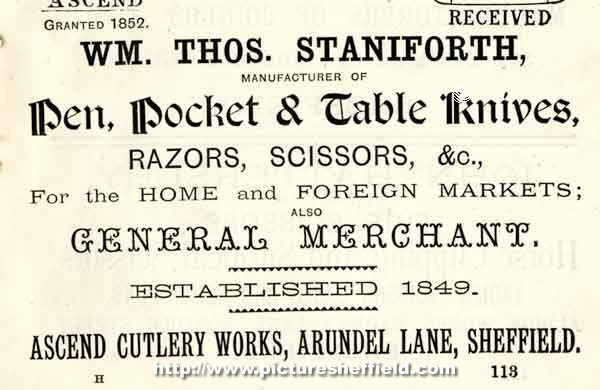 He appears to have lived at various address throughout Sheffield, in 1871 he is living on Albert Road, 1881 Eldon Street, and it is interesting to note that on the 1871 Census, he is listed as being a Cutlery Manufacturer employing 10 men and 7 boys. 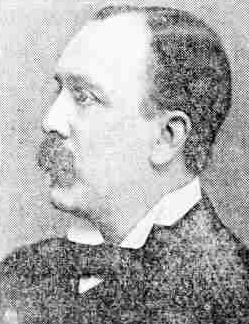 William Thomas passes away in Sheffield in 1890. Although the company did not last long into the 21st Century, W.M Staniforth, and his Ascend mark is still remembered for its quality products, most popular of which were his Razors.